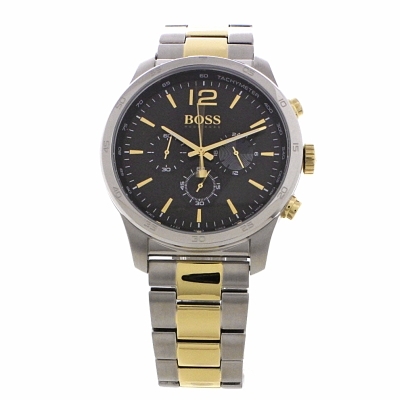 Hugo Boss Professional 1513529 is a super special Gents watch. Material of the case is Stainless Steel, which stands for a high quality of the item while the dial colour is Black. The features of the watch include (among others) a chronograph. This model has got 30 metres water resistancy - it can be worn in scenarios where it is likely to be splashed but not immersed in water. It can be worn while washing your hands and will be fine in rain. We ship it with an original box and a guarantee from the manufacturer. The Hugo Boss brand prides itself on modern elegance and its stylish collection of men's and ladies' watches is no exception. Whether treating yourself to a touch of class or letting that special someone in your life know you care with a luxury gift, a Hugo Boss watch makes a definitive style statement. Internationally renowned for producing high-end luxury fashion products for the discerning customer, Hugo Boss watches make the ideal finishing touch to a carefully chosen look. The distinctive style combines innovative design with a range of technical features, from chronograph technology to water resistance and much more. Premium materials in stunning formation characterise the Hugo Boss watch collection with a range of ideas to help you complete your personal style. 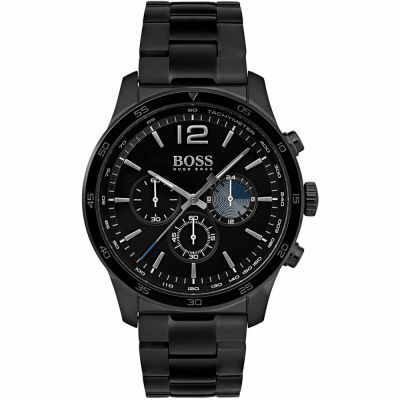 Watch Shop is an authorised Hugo Boss stockist. Sign up to receive email updates when new styles of Hugo Boss are added to Watch Shop!